There’s no doubt about it, it’s easier to learn to ski when you’re a kid than an adult. However, if you’ve ever booked a week’s worth of kids skiing lessons, you might have come up against some reluctance after day three. For some parents, this can be infuriating. You’ve paid for the course and it’s not as though you can try it again next month. So what can you do to make sure your kids catch the skiing bug? 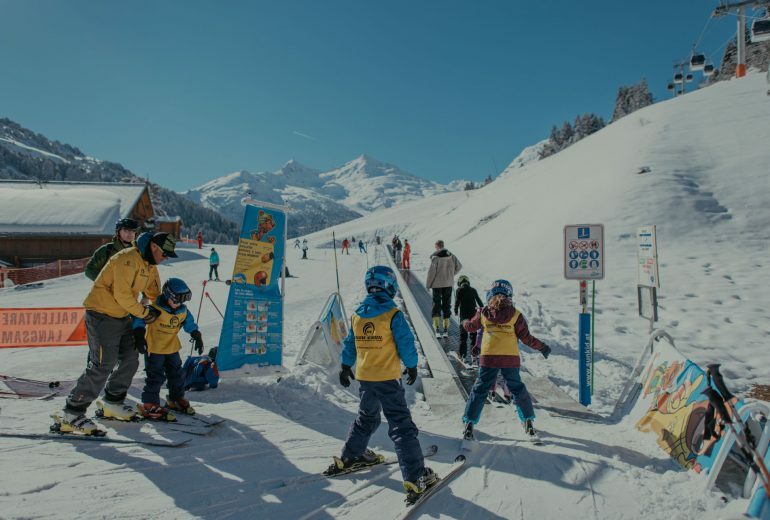 First of all, it’s worth remembering that for your child, starting your average ski course is rather like starting a new school – in a new country. The other kids are new, the teacher is new, the teacher’s accent is strange and it’s all quite stressful. 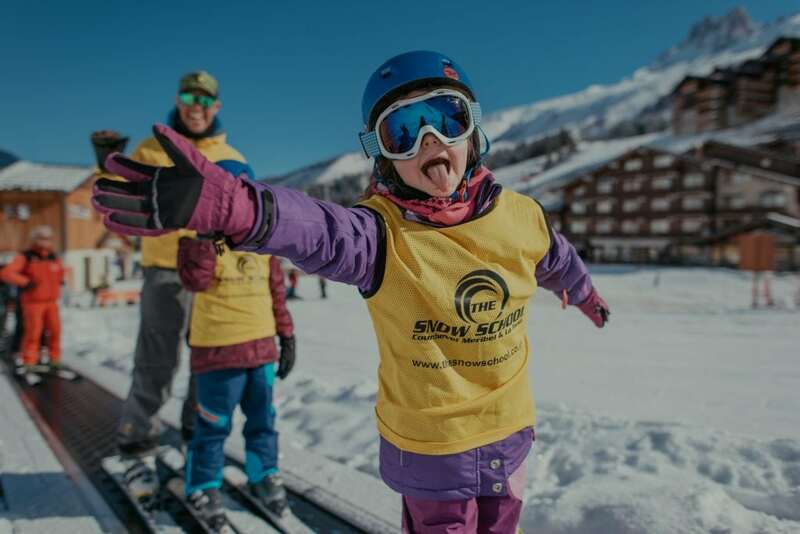 This is why at The Snow School we focus on having very small kids classes with friendly, native English speaking instructors who have tons of experience teaching kids skiing. Secondly, skiing in France can mean roasting hot days of full sun or overcast days in the shivering cold. Many kids simply don’t get into skiing because they don’t have the right clothes – they’re always too hot or too cold. The secret here is layers. And don’t forget the warm, waterproof gloves. Keeping them comfortable allows your child to ignore the elements and to begin to love skiing. But most important of all is positive reinforcement. At The Snow School, our instructors are experts in helping children feel proud of their accomplishments. And when you take your kids skiing after class, this is something parents need to follow up. Instead of trying to school and correct their technique, enjoy the family time and ski at their level. Encourage them to show you what they learned today. You might just be surprised.